Aesthetics: The Evo Mesh is an excellent thin, sleek and attractive case, available in a wide range of colors. 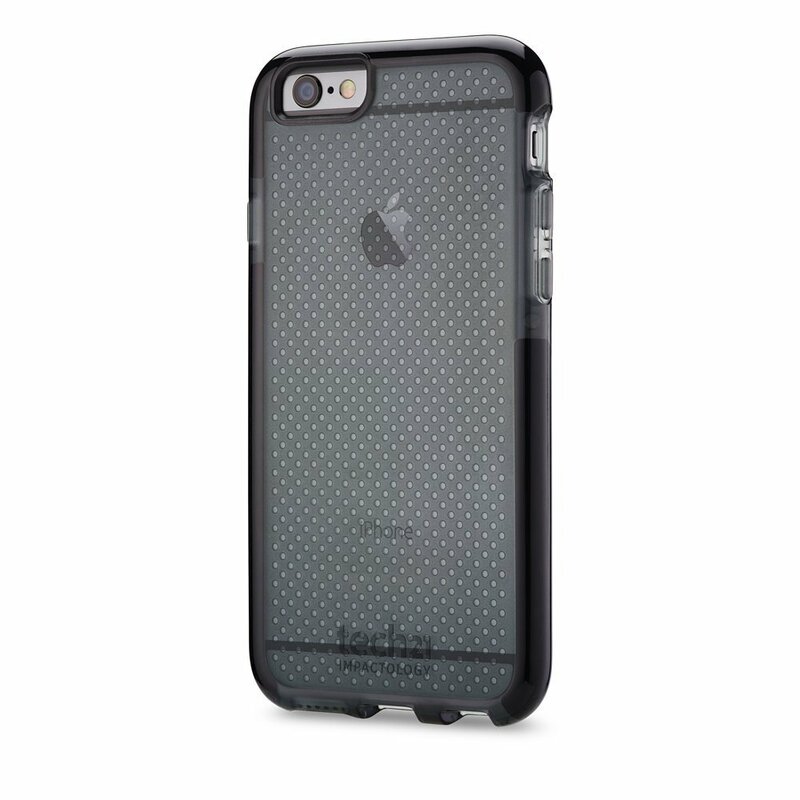 The clear mesh backing allows you to showcase your iPhone 6 or iPhone 6s. Rating: 4 out of 5 in aesthetics. Ergonomics: Perhaps the best thing about this case is that it is minimalistic. The slim design of the Evo Mesh captures the original feel of your iPhone 6. It isn’t a hard shell, it’s flexible and easy to remove and also has some anti-slip features. The case does cover the buttons making them a little difficult to press. Rating: 4 out of 5 in ergonomics. Protection: The Evo Mesh has TPU edges for enhanced shock-absorption. The air cushioning ridges on the interior of the case allow for maximum protection from up to 6.6 ft. drops. However, the case does not do anything to protect the screen display besides the raised lip around the device. Rating: 3 out of 5 in protection. Price: Priced at $39.95 on Tech 21’s website, the Tech 21 Evo Mesh is priced on the higher end when taking into account that it does not include a screen protector or other protective items. Rating: 3 out of 5 in pricing. Customer Reviews: Although some have complained that the color fades quickly after purchasing the case, the Evo Mesh has received hundreds of positive reviews from happy customers with 62% giving it an A. Some disagree however, saying that the case does not protect the screen of their iPhone 6 or iPhone case. Rating: 3 out of 5 in reviews.